This spot popped up on Instagram over a month ago and every picture looked delicious. 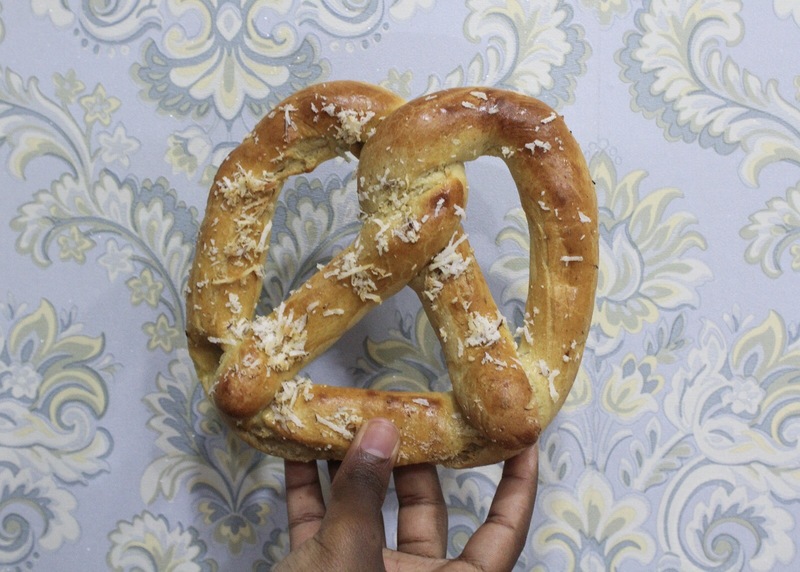 What drew us to it was the fact that this would be the first pretzel place in Abuja and if you’ve ever had Auntie Anne’s you would understand the excitement. There are four branches (Yup already! ), leading us all to believe it must be THAT good. I mean, it takes a lot of faith in your product to open up so many branches at once. We visited this spot twice and on both occasions had the same experience- bear in mind the interval between both visits was about a month. 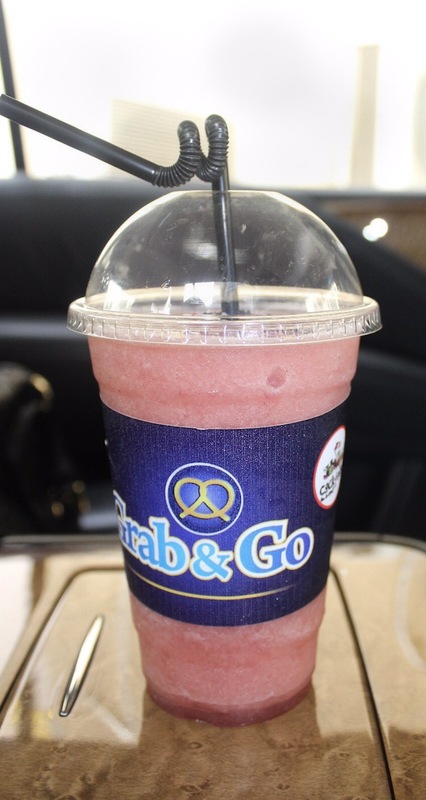 It’s not what you’re thinking, we didn’t go back for more (LOL). We actually went back to get better pictures as the ones we initially took didn’t make the AFD stamp of approval. On both occasions we visited the Gana Street branch which is a very small shop within the 911 Mall. 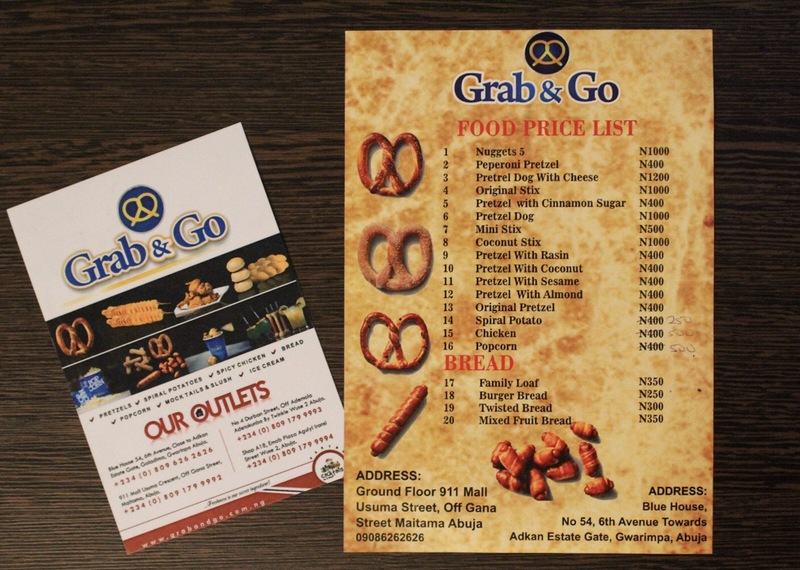 The shop itself mirrors the name ‘Grab & Go’ and is arranged for that purpose, with only 2 single seater sofas for customers to wait and collect their food. We decided to order something called the ‘nuggets’ (senrere for: sausage roll or if you’re in law school country roll) which comes in a cup. Where to begin? 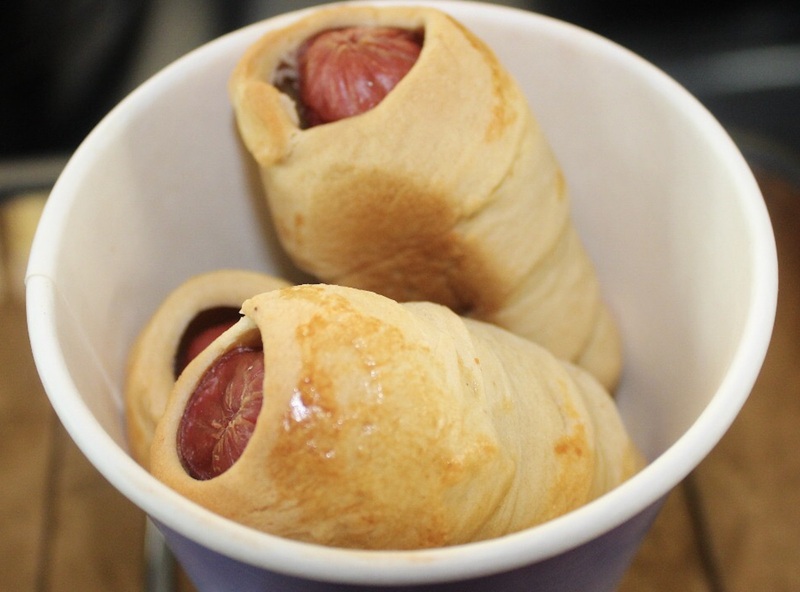 The dough was wayyy too sweet and doughy allowing the sausage to get ‘lost in the sauce’ literally. The first out of the two pretzels we ordered was the coconut pretzel. Sadly it was the same dough as the sausage roll but just way tougher. This was everyday bread in the shape of a pretzel. It had also become almost too hard to even tear, after being warmed in the oven which goes against everything we know about pretzels. The dough had a yeasty taste and left a weird after taste in your mouth. 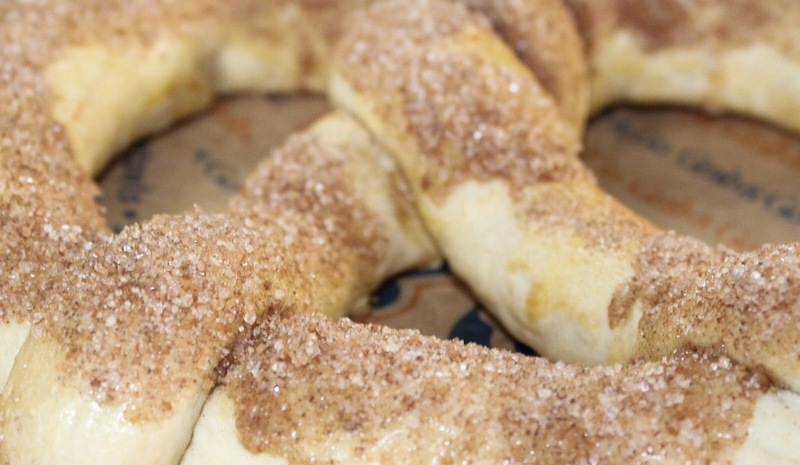 Next up we had the cinnamon sugar pretzel. 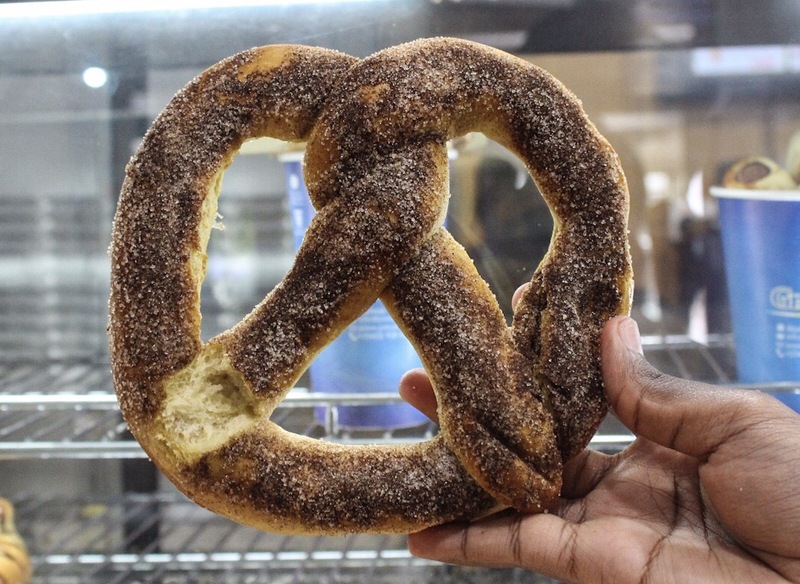 The cinnamon sugar sprinkled on it is the only commendable thing about this pretzel. It was quite underwhelming and tasted the same as everything else we tried. Alright so we’re quite sure that you guys are waiting for the good part. The only noteworthy thing about this spot is the prices (which are quite reasonable), the friendly staff and the fact that you can get mocktails/cocktails made by Cocktails in and out on the go (Cocktail hour with a side of bread? Hmm 🤔). 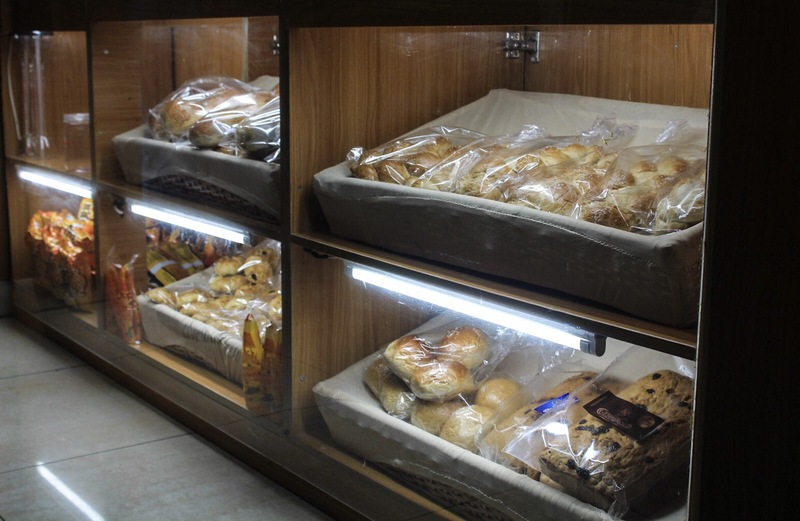 They also sell other types of bread and snacks like chicken pies if you’re into that. Would we return? Do we even have to say it? LOL we did not enjoy these pretzels and sadly would not be returning. However, they’re only a fairly new venture and we suggest you try it out for yourselves and tell us what you think.